If you have a background in healthcare and have an interest in computer science, then it is an excellent time to consider pursuing a career in health informatics by earning a Master’s in Health Informatics degree. Healthcare informatics is an emerging discipline that covers all aspects of information science as related to the medical field to promote the effective organization, collection, analysis, management, and security of patient information. Within a master’s program, individuals will take coursework related to information systems, healthcare coding, statistics, data mining, management, and public health. Pursuing a Master’s in Health Informatics degree is ideal for professionals seeking to become health information managers in hospitals, government agencies, medical associations, pharmaceutical companies, physician practices, and more. As the medical field continues to move towards a stronger reliance on information technology to ensure the accuracy and safety of patient data to improve outcomes, the clinical data analytics market is getting red hot. In fact, employment of informatics specialists is expected to grow rapidly at the rate of 36% before 2022. Since health informaticists are in such high demand, new graduates with a Master’s in Health Informatics can expect a relatively short job hunt after receiving their degree. In order to guarantee that you receive the highest return on investment for your time, money, and hard work to enter this in-demand field, we have created the following ranking of the best master’s degree programs in health informatics by affordability. In selecting our picks for ranking the top 25 Master’s in Health Informatics degrees according to affordability, we compiled a list of factors that we deemed important for overall quality. First, we searched through the programs available in the United States that have received accreditation from the Commission on Accreditation for Health Informatics and Information Management Education (CAHIIM). As the trusted source for finding master’s degree programs in health informatics or health information management, the CAHIIM has strong accreditation standards that approve the most rigorous programs for creating successful healthcare informaticists for today’s changing medical climate. Second, since the American Medical Informatics Association (AMIA) is considered the professional home of post-baccalaureate biomedical and health informatics training programs, we also looked for members taking part in AMIA’s Academic Forum. We then took into consideration the programs that offered course options in an online or hybrid format for enhanced flexibility and boasted hands-on experience in the form of a practicum or internship. Universities engaging in emerging trends research related to the field of biomedical informatics were also included to give students opportunities to participate in cutting-edge projects. Once we discovered our list of excellent health informatics master’s degree programs that met at least two or more of the aforementioned criteria, we sorted the list from high tuition to low tuition based on average in-state tuition statistics from the College Navigator or the U.S. News and World Report and chose the 25 programs with the lowest tuition costs to deliver a comprehensive ranking of the most affordable Master’s in Health Informatics programs available in America. By joining the expertise of UM’s prestigious Schools of Information and Public Health, the Master of Health Informatics (MHI) program offers an innovative approach to creating cutting-edge innovators who can revolutionize the way information is utilized to promote well-being. As an AMIA Academic Forum Member, the MHI program is centered on an internship that enables students to gain valuable hands-on experience in designing health information systems. All Master’s in Health Informatics degree students must complete a minimum of 400 internship hours during the summer and/or academic year with the guidance of faculty advisors and health informatics professionals. In addition to the 52-credit two-year on-campus master’s degree program, students can also pursue the Graduate Certificate in Health Informatics (GCHI) that offers a fundamental introduction to health informatics in 18 credits. The Master of Science in Health Informatics program at SLU is designed to develop senior and executive-level health informatics professionals from a variety of backgrounds. Currently in candidacy status with pending accreditation review by the Commission on Accreditation for Health Informatics and Information Management Education (CAHIIM), the College is an AMIA Academic Forum Member. Within the 30-credit program, students will be required to participate in applied informatics projects to gain the hands-on experience in electronic health records, health data security, and efficient health information systems. Although the program is campus-based, there are some courses available online from a distance. Undergraduate students also have the option to pursue a Bachelor of Science in Health Information Management in preparation for taking the Registered Health Information Administrator (RHIA) credentialing examination. With full accreditation by the CAHIIM, the Master of Science in Health Information Systems (MS-HIS) program at the University of Pittsburgh is available to prepare professionals for taking responsibility in the development and management of health information systems in accordance with clinical, legal, ethical, and fiscal regulations. As part of the 42-credit Master’s in Health Informatics degree program, students have the unparalleled opportunity to participate in HIM research with experienced faculty mentors. In fact, the Department of Health Information Management is recognized for conducting research in many disciplines include online analytical processing, data mining, transcoding technology, web accessibility on mobile devices, and automated coding software. Students enrolled in this health informatics graduate program can choose to follow a thesis option, non-thesis option, or a unique RHIA option that offers additional eligibility for becoming registered. 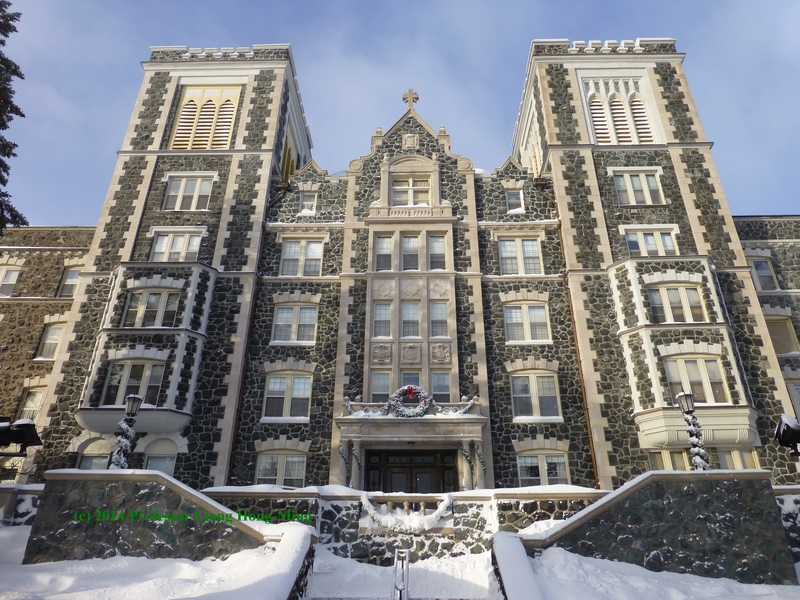 At the College of St. Scholastica, the M.S. Health Informatics program follows a fully online 46-credit curriculum to explore the use of information technology applications used by healthcare professionals to support wellness in clinical practice, administration, research, and education. Not only has the program been fully accredited through the CAHIIM, but the Department of Health Informatics and Information Management has also been recognized as an AMIA Academic Forum Member. All health informatics graduate degree students are required to participate in a hands-on Final Applied Project to apply learning with acutal clinical and patient information before graduation. Students also have the option of pursuing an M.S. Health Information Management, M.S. HIM/ITL Joint Program, or Online Healthcare Informatics Certificate to learn more about evaluating computer-based health data. Consisting of 30 credits of graduate coursework, the Master of Health Informatics (MHI) program is designed to train individuals who are interested in applying information technology to solve healthcare problems. As an AMIA Academic Forum member, the Institute of Health Informatics allows students to participate in the on-campus Natural Language Processing/Information Extraction (NLP/IE) program for conducting cutting-edge research on such systems and their application in clinical tasks with other healthcare experts. For health professionals seeking additional training in health informatics for a career in academia or research, there is also a research-oriented Master of Science program or Ph.D. program in Health Informatics available. In the nationally recognized School of Nursing, there is also a Ph.D. in Nursing offered with a concentration in Health/Nursing Informatics and Systems Improvement. Specifically designed to be flexible and fitting into the schedule of busy working professionals, the Clinical Informatics and Patient-Centered Technologies (CIPCT) Online Master of Science Degree program teaches healthcare providers about the information technology tools available for use in various clinical settings to improve patient care. Along with one weekend session per year at the Seattle campus for orientation, the program is offered online to allow students to interact “live” with faculty members and colleagues via web conferencing. In order to be accepted into the 15-month full-time program with AMIA Academic Forum membership, candidates must have a bachelor’s degree and at least one year of experience in healthcare. UW students can also choose to pursue an M.S. or Ph.D. in Health Informatics in an on-campus delivery format in Seattle. As an accomplished AMIA Academic Forum member, the School of Computing and Information Systems at GVSU is proud to offer the Medical and Bioinformatics M.S. P.S.M. Program, which stands out as part of the university’s only Professional Science Master’s degree. 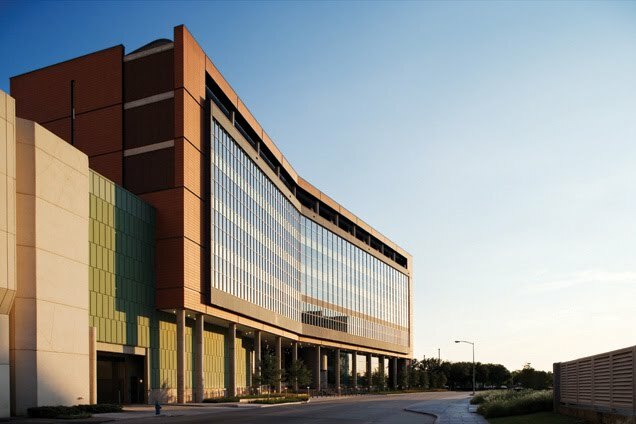 In the heart of Grand Rapids’ Health Hill near the renowned Van Andel Research Institute, the program seeks to utilize computer technology to manage and analyze information related to the health sciences. Designed as an interdisciplinary 36-credit program that boasts strong business, project management, teamwork, and ethics components, the curriculum offers an intensive scientific business/industry internship. It is recommended that students have a strong programming and/or life science background to pick up the bioinformatics skills required within the two years of graduate studies. Featuring full accreditation by the College of Accreditation on Health Informatics and Information Management Education (CAHIIM), the Master of Science in Health Informatics at Temple is an innovative interdisciplinary program that focuses on preparing graduate students to design, develop, and implement electronic health record systems. Drawing on professional competencies in healthcare, information science, and computer science, the 30-credit Master’s in Health Informatics degree program can be taken on a part-time evening basis at the Main or Center City campuses, but some courses may be offered online or in a hybrid format. All students will be required to successfully complete a work-related applied project for hands-on experience and a graduate seminar. Students may also wish to consider earning the B.S. in Health Information Management, Pre-HIM Program, or the Post-Baccalaureate Certificate in Health Informatics. Since UIC is fully accredited by the CAHIIM and is a recognized AMIA Academic Forum member, it is no surprise that the flagship Online Master of Science in Health Informatics degree is considered the nation’s largest health informatics program. Designed to take a comprehensive look into the integration of information technology into all aspects of patient healthcare services, the program features a nationally recognized faculty, elite network of alumni at the forefront of the industry, and a flexible online schedule! Built on the MBA/Business School model, the program also is based on real-world experience and practical skill application in healthcare information technology. Students may also be interested in pursuing the Bachelor of Science in Health Information Management, Master of Public Health in Public Health Informatics (PHI), or Post-Masters Certificate in Health Informatics. OHSU offers two master’s degrees: a professional-oriented Master of Biomedical Informatics (MBI) and a research-oriented Master of Science (MS) in Biomedical Informatics. The two differ mainly in their culminating projects that consist of a capstone or internship (MBI) or traditional research thesis (MS). 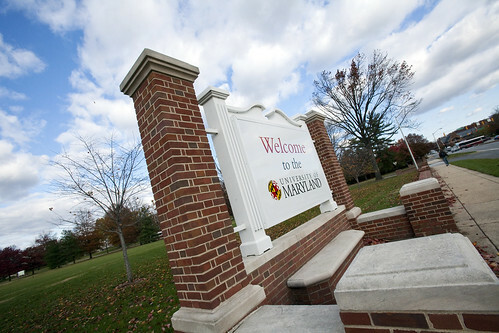 Each of the master’s degree programs is available in three tracks: clinical informatics (CI), health information management (HIM), and bioinformatics/computational biology. The CI and HIM tracks are accredited by CAHIIM and are available in either on-campus or distance-learning formats. The HIM track confers eligibility for the RHIA credential. All tracks cover the informatics field broadly and include ample project and other hands-on work, including a lab course that utilizes the Epic electronic health record system. OHSU’s biomedical informatics graduate program is one of the largest and longest standing programs of its kind in the United States. Its more than 600 graduates have assumed a wide variety of jobs in healthcare organizations, industry, and academia. The OHSU informatics program also offers a Graduate Certificate that is a subset of its master’s programs as well as a PhD program for those seeking research and academic careers. Funding is available for some full-time students pursuing the PhD or the MS as a postdoc through OHSU’s National Library of Medicine Training Grant. Through a collaboration between Ohio State’s nationally recognized College of Public Health and College of Medicine, there are two master’s-level programs that lead to a Master of Public Health (MPH) or a Master of Science (MS) with a concentration in Biomedical Informatics. While the 48-credit MS degree focuses primarily on providing students with research experience, the 48-credit MPH degree is more concerned with applied practices in handling the collection, management, analysis, and dissemination of health information. As an AMIA Academic Forum member, Ohio State is well-known for conducting research on emerging trends in the various sub-domains of biomedical informatics, including computational biology, bioinformatics, clinical informatics, and data science. In fact, students can further their education by earning a research-oriented Ph.D. in Computational Biology & Bioinformatics (CBB) or Translational Bioinformatics (TBI). Recently awarded the 2013 Dean’s Team Award for Excellence in Education, the Health Informatics Masters Degree program at UC Davis delivers advanced training in informatics to healthcare professionals who want to redirect their careers to become a health informaticist as well as those interested in integrating informatics expertise into current professional roles. Within the 43-credit Master’s in Health Informatics degree program, all students are required to complete a mandatory research project and master’s thesis to produce work that may be published in a peer-reviewed journal. Along with faculty advisors, students can gain hands-on experience conducting research on disease management, decision support, human-computer interaction, electronic medical records, HIPAA regulations, telemedicine, patient data privacy, and more. Within the UC Davis Extension, students can also pursue a 19-unit Online Certificate Program in Health Informatics. Through a computer science and engineering curriculum, the Master’s Degree in Computer Science with Emphasis in Biomedical Informatics program offers an introduction to current problems within the bioinformatics field. 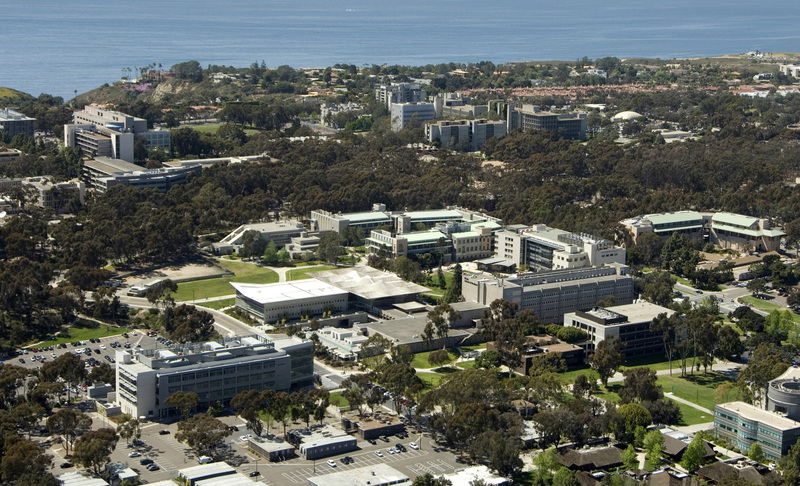 As an AMIA Academic Forum member and part of the University of California Research eXchange (UC-ReX), UC San Diego is highly regarded for contributing to the field’s knowledge by conducting cutting-edge research on biomedical computing, clinical informatics, global health telemedicine, health information exchange, and collaborative data networks to enhance patient-centered outcomes. Within the 51-unit curriculum, students have the opportunity to participate in a 10-week summer internship program with a paid stipend to cover living expenses in San Diego. Students may also be interested in advancing their career opportunities by purslousiuing the Ph.D. in Bioinformatics with an Emphasis in Medical Informatics. Offering research concentration areas in Bioinformatics, Clinical Informatics, Imaging Informatics, Knowledge Discovery, or Population Health Informatics, the Master of Science (M.S.) in Biomedical Informatics program is designed to prepare qualified graduate students with expertise in informatics, computer science, bioscience, and mathematical statistics, to integrate technology in clinical environments. With membership in the AMIA Academic Forum, the College of Health Solutions has conducted innovative research that lead to the creation of a web-accessible server that can be used to explore protein sequence and a prototype system that processes thousands of blood samples per day for gene expression analysis. In addition to the new 32-credit master’s program, students may also want to consider enrolling in the Bachelor of Science in Biomedical Informatics or Ph.D. in Biomedical Informatics at ASU. Ideal for health professionals who are seeking a specialty focus in health information management, the Master of Science in Biomedical Informatics program at KU is designed to prepare students for mid-level positions in working with emerging personal health record systems. As a member of the AMIA Academic Forum, the Center for Health Informatics (KU-CHI) serves as an alpha and beta testing site for many information technology companies to support outcomes management research. One of the major program strengths is the close relationship between students and their faculty advisors, who develop a plan of study that meets students’ unique career goals. Students enrolling in the 40-credit program can complete many of the required courses online, but there is a required practicum and research project to provide hands-on experience at clinical partners around Kansas City. Within the highly regarded iSchool, the Master of Science in Health Informatics Administration (MSHIA) program offers a dual emphasis in healthcare administration and information science as applied to the medical field to develop information technology professionals for working in various healthcare organizations. For admissions into the online 36-credit program with an applied capstone project, candidates should have at least three years of professional work experience in a healthcare or information technology in healthcare position. Not only is UMUC an emerging member of the AMIA Academic Forum, but the master’s program has been fully accredited by the CAHIIM for excellence in health information management. Students may also be interested in receiving a Graduate Certificate in Health Informatics Administration, Health Care Administration, Informatics, or Biotechnology Regulatory Affairs fully online. 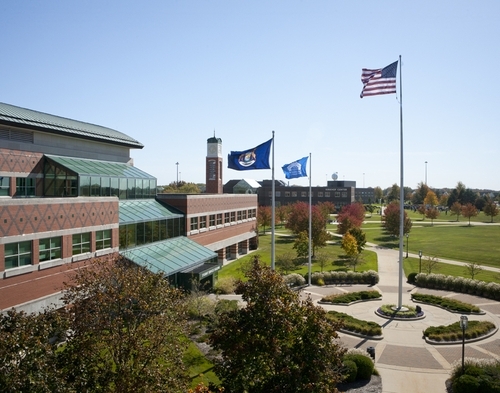 Since becoming home to the world’s first computerized laboratory system in the 1960s, the University of Missouri has been a nationally recognized leader in biomedical informatics research and has been credited with training some of the field’s leading figures. As an on-campus residential program, the Master of Science in Health Informatics degree blends computer science with health management to enable students to concentrate in electronic healthcare records, information systems for managing health, bioinformatics, and telemedicine. Focused on understanding, designing, and developing information technologies that transform health systems in the 21st century, the program also allows students to participate in a 12-week administrative internship in an approved healthcare organization. Students may also want to consider applying to the Executive HI program, Dual MHI/MHA program, or the Health Informatics Ph.D. program. At the University of Indiana, the M.S. in Bioinformatics program leads to a two-year professional degree that emphasizes computation and informatics while integrating knowledge from biology and health sciences to prepare students for a rewarding career as bioinformaticists. Within the 36-credit program, students are required to complete a year-long capstone research project with an oral presentation by working closely with an experienced faculty supervisor in a related discipline, including biology, chemistry, information science, or medicine. 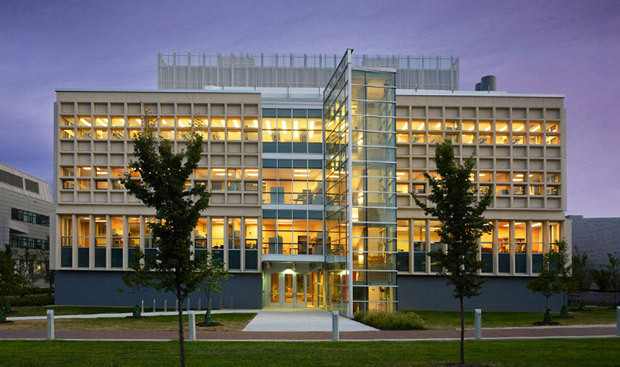 As an AMIA Academic Forum member, the university’s Center for Bioinformatics Research is renowned for contributing to the field of microbiology, proteomics, glycomics, systems biology, and human disease management. Students may also choose to advance their understanding by pursuing a Ph.D. in Bioinformatics, Health Informatics, Human-Computer Interaction, or Informatics. 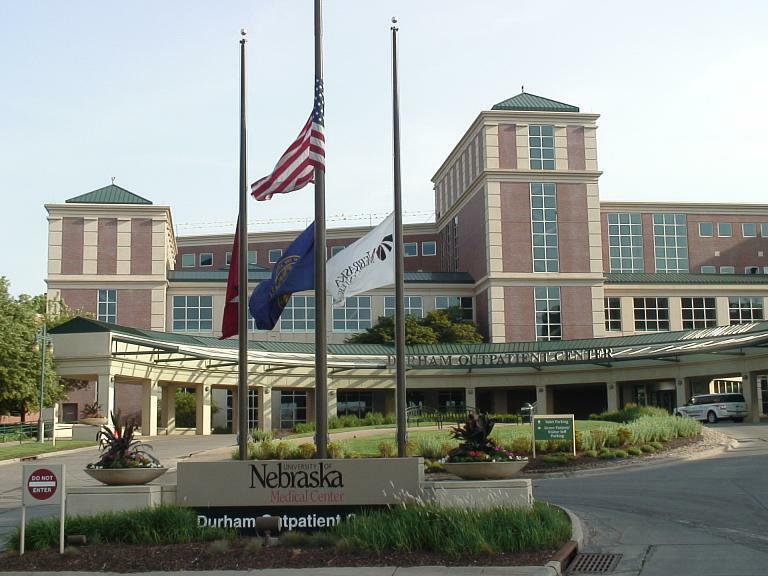 As a collaborative effort between all University of Nebraska campuses with courses on-site at the UN Medical Center, the Biomedical Informatics Graduate Program (BMI) was formally approved by the State of Nebraska in 2013 to offer a comprehensive interdisciplinary education that integrates the theory of information technology management with practice in clinical science. Leading to a Master of Science (M.S.) degree, the 36-credit program leads innovative interdisciplinary research for finding effective uses of biomedical data, information, and knowledge for solving problems in human health. Although it is campus-based, the program does offer distance options through telephone conferencing, virtual networking, and e-learning for most courses. Advanced graduate students may also consider joining the Ph.D. in Biomedical Informatics program in order to expand career opportunities in research or academia at the university level. At UT Health, the Master of Science in Health Informatics program offers two distinctive tracks for traditional research or applied health informatics to develop the skills needed to deliver innovative solutions to real-world problems impacting today’s health information technology field. Although the 39-credit program is available fully online, the traditional research track culminates in a state-of-the-science research paper and the applied health informatics track leads to a capstone project to apply learning in a real-world healthcare setting. As an AMIA Academic Forum member, the School is home to the National Center for Cognitive Informatics and Decision-Making in Healthcare, which supports improvements in the safety of healthcare through advanced information technology. Students may also be interested in pursuing the Dual MSHI/MPH, Graduate Certificate in Public Health Informatics, or Ph.D. in Health Informatics. Based upon the broad concepts from the American Nurses Association’s Scope and Standards of nursing informatics practice, the UC Anschutz Medical Campus offers a Master of Science in Nursing program with a Healthcare Informatics Specialty to provide students with the essential knowledge and skills for entering the informatics specialist role. As an AMIA Academic Forum member, the College of Nursing is involved in many of the field’s emerging technologies, including Second Life (SL) to immerse students in a virtual environment for creating real-life scenarios that build experiential learning experiences. The online program also includes a practicum that allows students to focus on a particular role in informatics within a healthcare organization in their own local community. Students can also earn a Post-Master’s Certificate in Health Care Informatics fully online from anywhere with an Internet connection. Currently in candidacy status for accreditation with the CAHIIM, the Master of Health Informatics and Information Management program at UMMC is a fully online professional degree that will prepare qualified graduate students for developing information systems that improve patient care, facility reimbursement, medical research, health planning, and healthcare assessment in today’s changing environment. While one track of this affordable graduate health informatics degree emphasizes health informatics, the other concentrates on health information management specifically for students wishing to pursue eligibility for the RHIA certification examination. For a total of at least 36 semester hours, the program is designed for part-time non-traditional students in a unique two-year format that includes three semesters per year. With membership in the AMIA Academic Forum, UMMC also offers a traditional or online B.S. in Health Informatics and Information Management. Available for qualified graduate students with a bachelor’s degree from a regionally accredited institution with a major related to health information management and a cumulative GPA of 3.0 or higher, this accredited Master’s in Health Informatics degree program prepares confident professionals who can utilize a variety of information systems resources to accomplish the objectives of diverse healthcare delivery systems. Now fully accredited by the CAHIIM and accepted into the AMIA Academic Forum, the program is offered in an online format that will enable students to maintain full-time employment status while enhancing their skills. In addition to online lectures, e-mail, electronic bulletin boards, and digital drop boxes for completing coursework, students are required to complete an experiential learning opportunity with supervised practicum. At the undergraduate level, students can pursue the Bachelor of Health Informatics and Information Management (HIIM) with CAHIIM accreditation too. Since being established in 1964, the University of Utah has become internationally recognized as a leader in biomedical informatics research with a National Library of Medicine (NLM) training grant to support high-quality educational programs. With a thesis or non-thesis track available, the Biomedical Informatics Masters Program was designed for active clinicians and healthcare professionals who are seeking to expand their expertise in information technology for applied practice or research. As an AMIA Academic Forum member, it is one of the most prestigious training programs for informatics in the world with unmatched research opportunities with full access to the Utah Population Database for cutting-edge projects. Students may also be interested in pursuing the Graduate Certificate in Biomedical Informatics or the Ph.D. in Biomedical Informatics for even more intensive coursework in research training. If you’re looking for a cheap graduate health informatics degree, look no further. Renowned for being the only graduate-level program accredited by the Commission on Accreditation for Health Informatics and Information Management Education (CAHIIM) in West Virginia, the Master of Science in Health Informatics degree is focused on the science that defines how health data is technically generated, collected, transmitted, and utilized. Consisting of three curriculum components in information systems, information technology, and informatics, the 39-credit program includes at least four semesters of coursework with an educationally directed practicum in the final year for at least 400 clock hours of experience. As the nation’s #1 most affordable Master’s in Health Informatics degree at just $5,464 each year, the program blends the didactic and experiential learning needed to prepare valuable professionals for leading today’s data and information-driven healthcare industry. Combining the skills of business intelligence, computer science, information technology, and data analytics with healthcare, the health informatics field is becoming increasingly crucial for helping healthcare organizations store, retrieve, and process medical data in today’s digital age. When you choose one of these Master’s in Health Informatics programs that represent the highest quality at the lowest tuition price, you will be placed on the pathway towards a rewarding profession in one of the nation’s most rapidly growing fields.